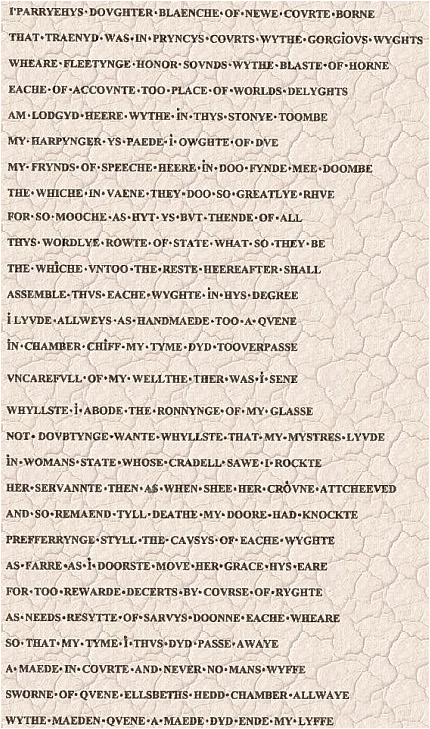 The Epitaph is an exact and complete copy of the Bacton Epitaph. 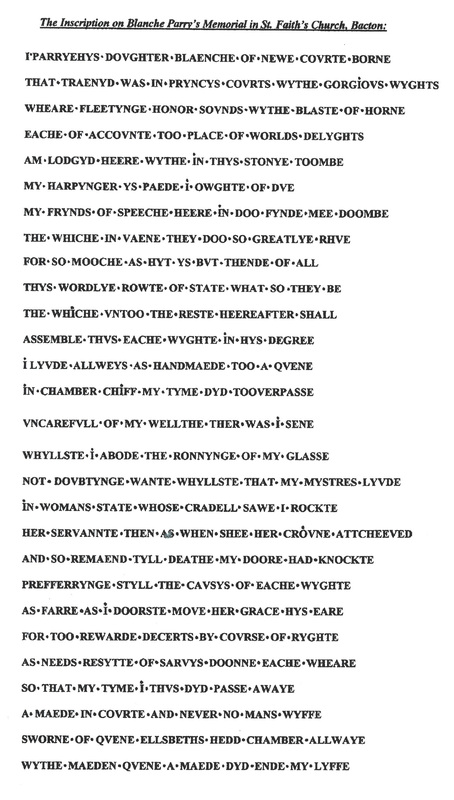 This was composed by Blanche Parry for the monument she had had ‘built’ in St. Faith&apos;s Church, Bacton, Herefordshire, and transcribed by Paul Richardson. Now securely dated to before November 1578 (probably 1576-1577), the Bacton Monument (see Gallery) is nationally important as the earliest known depiction of Queen Elizabeth I as an icon, as Gloriana. Compare this Epitaph to the Saint Margaret&apos;s Epitaph on Blanche&apos;s tomb (see biography page 136).